The Musica Viva and Dixon Advisory story first began with an encounter between Musica Viva’s Director of Development Anne Cahill and Co-founder of Dixon Advisory Kate Dixon. 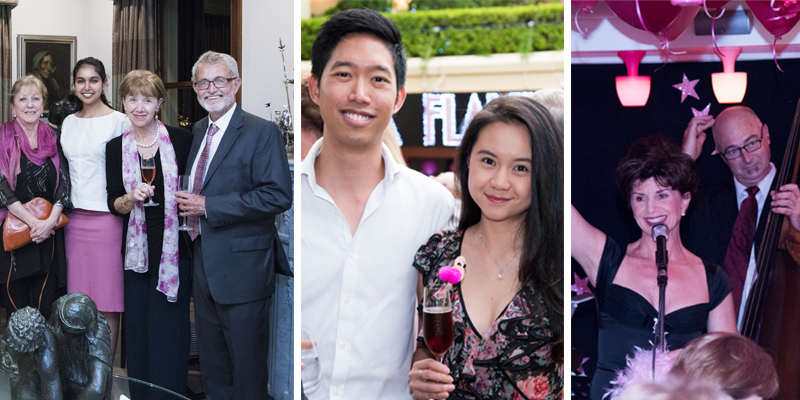 The two met at an Amadeus Society event, whose members include music aficionados who come together to enjoy music and advocate for Musica Viva’s artistic initiatives. For Kate, music had long been a passion. Her grandmother was a talented pianist, and her mother loved classical music and encouraged Kate to learn the piano. Growing up, Kate accompanied the school choir, which was her first experience of playing with other people. She then went on to join her university choir and madrigal group. Conversely, it was a third-grade teacher who ignited Anne’s interest in music. Her teacher facilitated group music lessons and one day asked Anne to conduct a percussion ensemble playing the Bach Minuet in G.
Anne later went on to forge a career in the arts – not only through her business development work with Musica Viva, but also as a pianist, piano teacher and, currently, as a violinist performing in and running a community orchestra. And so it ensued from their first meeting at the Amadeus Society that Kate and Anne, fuelled by their desire to share the joy of music with others, enthusiastically created a partnership between Musica Viva and Dixon Advisory, who share several things in common. “We both aspire to be leaders in our field. And we aspire to have an innovative culture internally, because if you’re going to survive as a small organisation in Australia, you have to be agile,” says Anne, explaining why the two organisations are a good match. “We’re also both family oriented – we both started from humble beginnings and, as our communities have grown, we still treat people as if they’re part of a bigger family. “Importantly, we both live and work to make a difference in people’s lives and this is something that’s very strong in the partnership. Where it’s most evident is in our passion for education – at Musica Viva we educate our audiences about music and we also bring music education programs into schools. Dixon Advisory is also committed to financial education as a means of empowering clients, but they also financially support our music programs, which is testament to their commitment to giving back to their local community. Stories about the positive contributions that businesses make in the community are heard all too rarely,” she adds. The Coffee Concert series in 2013 was the first Musica Viva program that Dixon Advisory sponsored – and for the firm, it was something they could uniquely be associated with as the primary sponsor of the series. The concerts are hour-long daytime performances run in Melbourne and Sydney throughout the year. Being in the day, the concerts are more intimate, informal and affordable, yet the musicians are professionals of a high calibre. Audiences gather before the concert to enjoy refreshments, so the social aspect is also very appealing. As Kate explains, the informative component of the Coffee Concerts is a key point of difference. “The Coffee Concerts make music more accessible to everyday people. The musicians talk to the audience about the pieces they’re playing so that everyone is able appreciate the story behind the music, whether they’re conversant with music or not,” she says. The event attracts a good mix of people – some retired, others who pop out of work for a couple of hours to break up their day. Musica Viva provides tickets so that Dixon Advisory advisers can invite and accompany their clients to the concerts. Not long after the Coffee Concerts began, in 2014, Dixon Advisory became involved in sponsoring the Musica Viva In Schools program – at first, in the North Sydney area and subsequently in other areas, including regional Wagga. 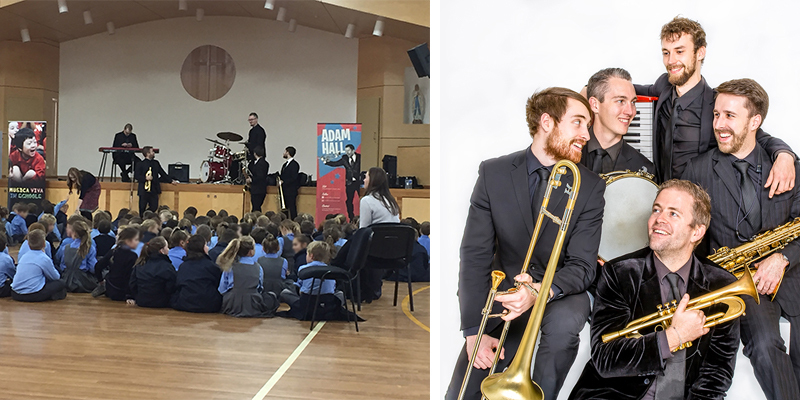 The program brings music education to Australian school students who may otherwise miss out on the opportunity to take part. Through their involvement with Musica Viva, children are able to experience live performances from internationally and nationally acclaimed artists, accompanied by a dynamic and engaging learning program. As Anne explains, the teachers too are very supportive and appreciative of the program. “We have 16 ensembles that give performances to schools around the country,” she says. But it’s the children’s reactions that speak volumes, says Kate. “You only have to take a visit to St Lucy’s and watch the expressions on the children’s faces. It says it all. You can see them respond with their bodies – they move and feel the music. It’s touching,” she explains, noting that St Lucy’s – a school for children with additional needs – has now even developed a program especially for the parents. Some other schools are also trialling new technologies. For example, St Michael’s students in Lane Cove tested Musica Viva’s Musicadventures ebooks on their iPads, which Anne and Kate are both very excited about. The school was named by The Educator as being among NSW’s most innovative schools because of its involvement in testing interactive digital technologies for students. And what’s in store for the future? Evolving and adapting to change is a key cultural trait of both Musica Viva and Dixon Advisory. Both Kate and Anne acknowledge that both organisations have had to be nimble to grow and survive. For Kate, this is most evident in the way Dixon Advisory has had to adapt to ongoing legislative reform. And it’s this very mindset that will ensure the future of the partnership evolves in a positive direction. Currently, there are discussions about new initiatives, but discussions are in initial stages, so you’ll have to watch this space for an update.